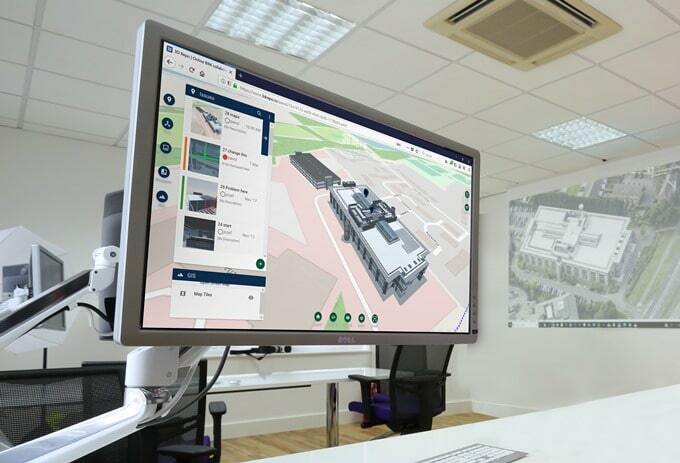 3D Repo has released a new version of its cloud-based BIM platform that allows users to simultaneously access, via the web, the latest 3D construction models, detect changes, collaborate on them and make informed decisions. 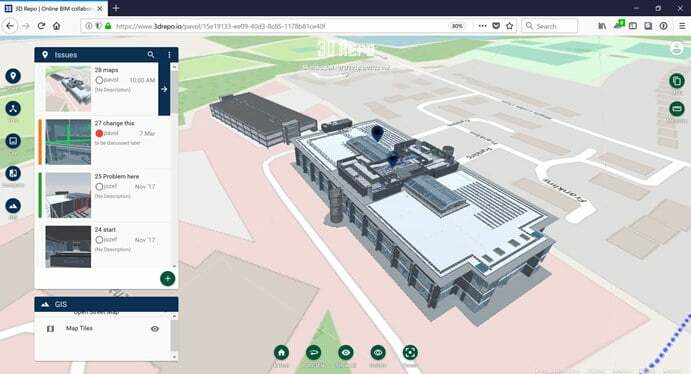 With more than 30 enhancements and service improvements, the latest version of 3D Repo includes support for the most recent open standard Building Collaboration Format (BCF) to improve BIM workflow communication; as well as live GIS data integration offering real-world project context. The newly released 3D Repo v2.8 also includes additional support for mobile devices in Beta, including Android and iOS through a mobile web browser, Xbox controller support and support for FBX files with embedded textures. Live map integration, with current support for standard base map tiles and additional publishers and data layers on the roadmap, provides real-world context for 3D models. The inclusion of GIS data also allows for external factors, such as proximity of another building or feature, to be included within the design and construction decision making workflow. The ability to import and export BCF files gives users of the 3D Repo solution a more efficient way to communicate design issues within their current workflow. The BCF file format is a vendor-neutral solution for collaborative design, construction and operation information exchange. It allows topics, such as issues, proposals and change requests, to be encoded and addressed within the BIM model. This removes the need to manually locate an issue, using only a description or screenshot, reducing confusion and potential errors while speeding up communication.